The EROS Image of the Week Gallery assembled by USGS is a wonderful resource for educational outreach. 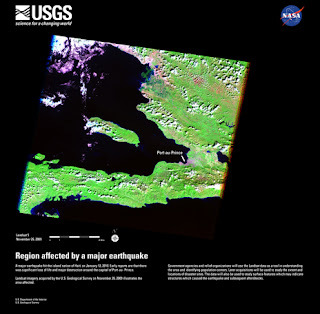 You can browse and download posters that demonstrate how Landsat satellite imagery is used for everything from monitoring natural disasters to detecting anthropogenic induced land cover change. The images are very powerful and the descriptions are clear and concise.